An energy infused and engaging Daf Yomi Shuir with commentaries and Halacha Lamaseh. The daily shiur contains a flavor of lumdos as well as general yedios from sifrei halacha, machshava, hashkafa and the exclusive #TheRestOfTheStory related to the sugya. Making it a much sought after shiur for both baalei batim and kollel yungerleit alike. "The Daf Yomi Chaburah" as its often referred to by is members, is attended by a diverse and cohesive group of working guys and kollel members. Additionally, the APPs offer Reid Bites (#ReidBites), which are selected 1-20 minute long audio clips of the Reid (commentaries) spoken out within the shiur. These can be selected by title, or randomly with the "How Much Time Do You Have?" feature. At the end of 2017, we added a PODCAST for the REID BITES only. 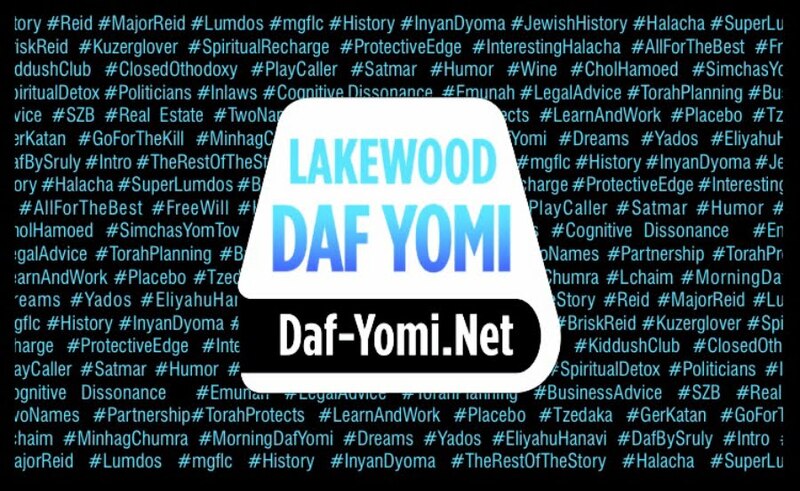 In the summer of 2018, we released the full daf shiurim on PODCAST, making it even simpler to listen to the daf on the go. While still maintaining and upgrading both the apple and android apps.